Unfortunately, the writing style and plot didn’t work for me on this one. The relationship between Jack and Bruce was stressful, and I never understood their connection. There wasn’t a lot of time devoted to building their romance or to having any meaningful conversations. Jack Callahan is in a financial bind, so when Australian novelist Bruce Logan offers him a small fortune to marry him so Bruce can get his green card, Jack agrees. The two men know enough about each other to pull off the immigration interview at Homeland Security, and they can happily share an apartment in Los Angeles until Bruce establishes legal residency. The problem, though, begins when Jack develops feelings for Bruce and becomes torn when his new husband starts dating another man. Not only that, but Bruce’s expected book royalties fall way short of expectations. Now, not only can Bruce not pay Jack the promised “marital fee,” but it seems that he’s in love with his new man. And with Jack’s lengthy solitude broken, his feelings for Bruce only deepen. 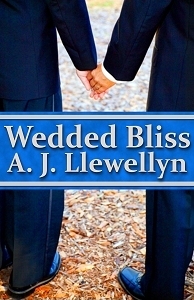 Can the two married men actually find wedded bliss with each other?